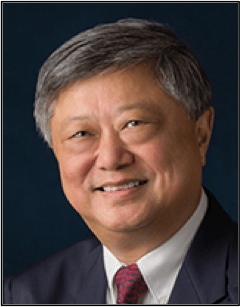 Vancouver – The American Academy of Periodontology has named Richard T. Kao, DDS, PhD, a clinical professor in the Department of Orofacial Sciences at the University of California, San Francisco, and an adjunct clinical professor at University of the Pacific Arthur A. Dugoni School of Dentistry, as its new president. Kao and other newly appointed officers were installed during the academy’s 104th Annual Meeting in Vancouver, British Columbia. Kao has published more than 40 scientific articles and 30 book chapters, and is a past recipient of two R. Earl Robinson Periodontal Regeneration Awards. Other newly appointed officers include President-Elect Bryan J. Frantz, DMD, MS, a clinical associate professor in the Department of Periodontology at the Eastman Institute for Oral Health and at Temple University’s Kornberg School of Dentistry. Frantz, who serves on Decisions in Dentistry’s editorial advisory board and as a contributor to Dimensions of Dental Hygiene, is in full-time private practice in Scranton, Pennsylvania. James G. Wilson, DMD, of Tampa, Florida, was installed as vice president, and Christopher Richardson, DMD, MS, of Richmond, Virginia, assumes the role of secretary and treasurer.